Shopping for 0% Intro Credit Cards? No one likes paying interest on their credit cards; after all, credit card debt is one of the biggest burdens from a financial perspective that Americans face today – even if student loan debt has proven to be a growing problem as well. It’s also the way banks and credit card companies turn their profits, though. Still, they know what it takes to lure new customers. Want the privilege of credit? It’s going to cost you. There are ways, however, of keeping the APR low and that includes credit card offers with a 0% APR introductory period. The trick is finding the right credit card offer with the longest no interest time-frame. Before you set about shopping for a 0% APR credit card offer, there are traps that can sometimes catch an unsuspecting consumer. Those would-be traps are found in the terms and conditions and can include waiving the intro period if the card holder makes a late payment or if his balance exceeds the high limit. That’s why it’s so important to carefully review any offer before you sign up. Remember that no two card offers are the same – many are competitive, but they’re never identical. There’s no shortage of impressive credit card offers on the market, but each one has its own compliance guidelines and additional perks and benefits. Ideally, you’ll find those offers that include other benefits such as no annual fee and strong rewards programs. Customer service is always a good thing – be sure yours offers around the clock service. There’s also a new dynamic when it comes to our credit cards – the laws changed, courtesy of the 2009 CARD Act and that actually benefits consumers. One specific new law includes the requirement that credit card companies ensure any promotions they offer will run for at least six months. Finding these impressive offers has become much easier, too. This week, we take a look at two credit card networks, each with their own 0% APR offers. You’ll notice that some of the benefits mirror other offers, but each is distinctive in its own way. So which is the better credit card – Citi or Capital One? Both have solid reputations and both are known for the perks and benefits associated with their credit card offers. Take a look and we’ll let you be the judge. Capital One has become a force to the reckoned with in the financial sector. This is partly because of the strong credit card offers is tempts consumers with. This particular credit card offer provides the opportunity to earn 1.25 miles per dollar on every purchase, every day along with a one time bonus of 10,000 miles once you spend $1,000 dollars on purchases within the first 3 months. You can easily redeem your miles for hotels, car rentals and airline tickets and there are no limits on how many miles you earn and they never expire. You have the versatility of flying anywhere, any time and with no worries of black out dates. And if you act now, you’ll enjoy a 0% APR until February 2014 – that’s more than a year. Also, there are no foreign transaction fees, either. Good credit gets you this card. For business owners, Capital One has several offers designed for the business owner’s mindset. The Spark Miles Select is a perfect example of how the card network has the contemporary business owner in mind. You’ll earn a 50% bonus on the cash back you earn every year and you can earn 1 mile on every purchase every day of the week. 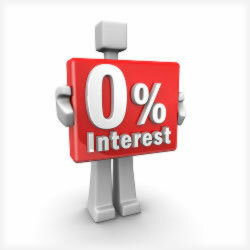 There’s currently a 0% APR promo, of course, and there’s no annual fee ever. Business owners like the ability to print their quarterly and year end summaries anytime and right from the Capital One website. No limits or expirations on the rewards miles, either. Fly anywhere, anytime and with no worries. Finally, we take a look at the classic Capital One platinum card. There’s the famous Capital One zero fraud liability if your card is ever lost or stolen and the platinum benefits means you have 24 hour roadside assistance along with an extended warranty on your purchases. Personalize your Capital One card with an image of your choice and enjoy 0% APR on your purchases until the end of the year. It’s a great offer for those with good credit. Citi, meanwhile, has its own impressive credit card offers. Here are just a few of them. This Citi offer includes 0% APR on both balance transfers and purchases for a full 18 months. You’ll appreciate the direct access to a service rep anytime day or night and there’s also no annual fee with this offer. Good credit gets you approved for this card and it’s consistently ranked high in consumer satisfaction. This credit card offer also allows for a 0% APR intro rate on both purchases and balance transfers. The balance transfer fee is 3% of the amount or a flat $5 and a zero liability on unauthorized purchases, along with the Citi Identity Theft Solutions makes it a safe choice. You’ll also enjoy around the clock access to personalized concierge service as well as assistance in booking hotel, flights, concert tickets and more. Citi card holders also enjoy special access to purchase pre sale tickets, preferred seating, VIP packages and other entertainment through the Citi Private Pass. No annual fee sweetens the deal and good credit gets you this Citi card. Like the idea of $100 in gift cards? When you purchase $500 with your ThankYou Preferred card, you’ll have the opportunity to redeem the 10,000 bonus points you’ll earn for the gift card. Be sure to meet the $500 threshold within the first ninety days, though. You’ll earn 1 point for every dollar spent and there’s no expiration dates, either. Earn as many points as you wish and extra points are credited to your account when you shop through the ThankYou Bonus Center, which includes more than 600 of the biggest and most well respected brands. And did we mention there’s never an annual fee? Keep in mind that your credit history is what determines, for the most part, what kind of credit you’re offered for any financial product. If you’re unsure of what’s being reported, it might be a better choice to take the time to request a copy of your credit report from the three major credit bureaus. A bit of time invested now will mean better offers down the road. It’s certainly time well spent. Also, keep in mind that the terms and conditions are crucial – perhaps more so now than ever before simply because of all the changes in various financial laws. A late payment can void the great intro rate and going over the credit limit can mean you forfeit other perks and benefits. If you’re going for a zero APR or a balance transfer offer, don’t become your own worst enemy in the process. It could end up costing even more in the long run. Are you a Citi or Capital One customer already? What keeps you a loyal card member? Share your thoughts with us in the comments or join the conversation on Facebook. Will Your Citi AAdvantage Program Be Good Tomorrow?